Large-scale construction projects are complex and risky. 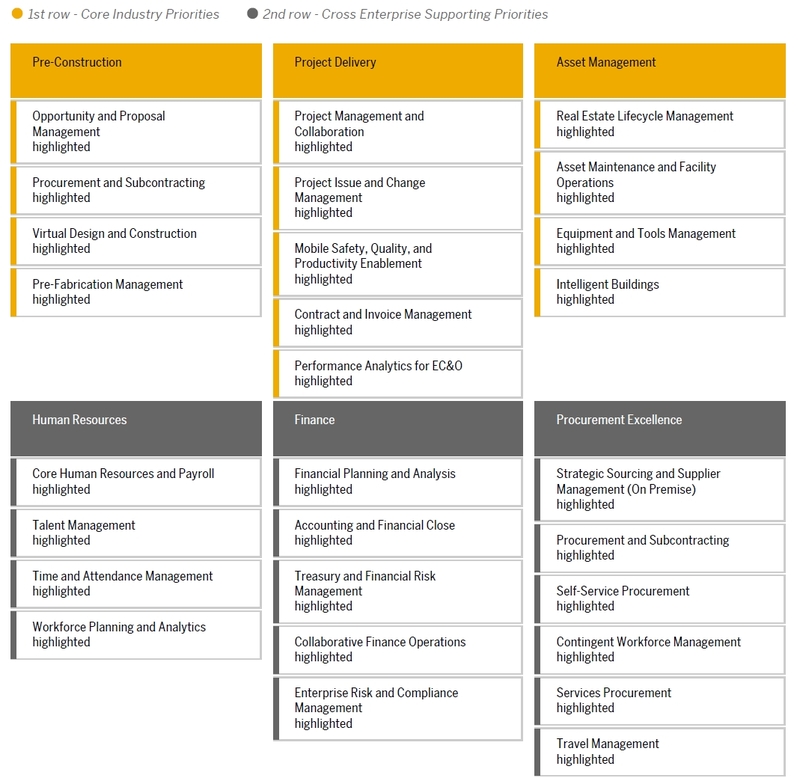 An integrated platform supporting the full construction lifecycle helps engineering, procurement, and constructions (EPC) firms manage projects, avoid risk, and stay competitive. Pre-construction: Enablement of effective bid management based on unified data, integrated design and estimation tools, and collaboration. Project delivery: Use collaboration, insights, and real-time visibility to manage projects. Asset management: Developing holistic asset planning, operations, and information management systems. Collaborate with insight to help ensure projects are completed in scope, on time, and within budget. Get real-time, actionable visibility into asset planning, building, and commissioning performance.